what is the luther500 festival? Luther500 Festival - June 16-22, 2019 — is a week-long experience of vacation, cultural immersion and adventure in the Land of Luther. Since 2011, the Luther500 Festival has been the best and easiest way to bring a congregation, a youth groups, families and friends to Germany. It's also been a valuable and enjoyable continuing-education experience for Church professionals. In 2017, the 500th Anniversary of the very start of the Reformation, Luther500 Festival brought more overnight visitors to Wittenberg than any organization in the world, and has enabled more than 10,000 overnights for travelers staying in the City of the Reformation. This chance to see the Luther sites, and visit Germany in the company of friends, to experience something like family camp in Europe, to live in Wittenberg for a week, has been going on in the form of The Luther500 Festival since 2011. The program is a joint venture of the musical group Lost And Found and the German tour operator Terra-Lu Travel which is owned by Michael and George's good friend Christian Utpatel who, prior to Terra-Lu was, for ten years, the national youth pastor of Germany. The program grew out of their shared desire to create an intergenerational, educational, inspirational opportunity for people from around the world to enjoy a vacation in Germany and also gain a deepened understanding of the Reformation and its impact. All are welcome. And there is plenty for everyone. The Festival is located in Wittenberg, Germany, our home-base for the week. The days are framed by brief morning and evening prayers in the historic churches in Wittenberg, and filled by a wide variety of options including Interest Centers, Day Trips, Recreation Options, Historic Exhibits and Museums, along with plenty of time for shopping, strolling, eating, exploring, conversing, relaxing and reflecting. Two meals a day are provided and lunch is generally on one's own. There is some optional evening programing with music, and group fun for all ages, and overflowing "Gemutlichkeit" after evening prayers. Come to the Luther500 Festival to be renewed, reformed, recreated, revitalized. Come to the festival to be inspired. 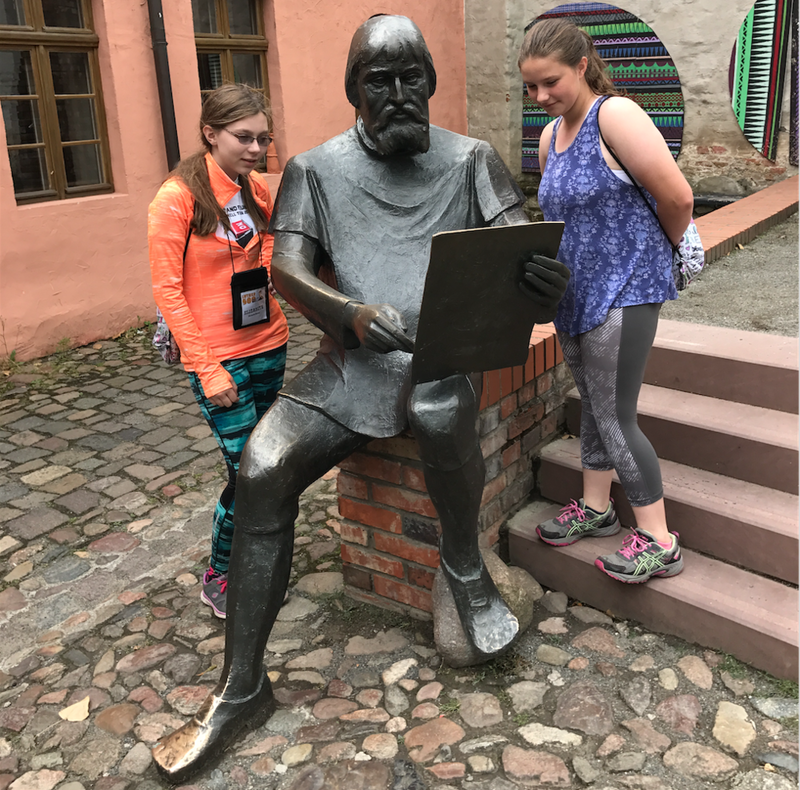 …through visits to historical sites, museums, day trips, and through Interest Centers that give context and bring into focus the message, the meaning and the media of the Reformation. …through unique service projects that will allow you to leave a sign of God’s love in action to the Wittenberg or Eisleben communities. …the presence of God with prayer services every morning and evening at the historic Churhces. …the joy of new friends as you meet youth and adults from all over the world. …Music and Art during group events, concerts, and hands-on workshops.